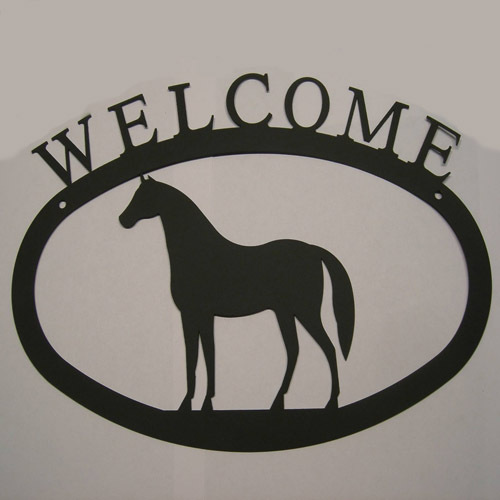 Desc: Wrought Iron Horse Wecome Sign. The sign is open and the word "Welcome" is cut out at the top. The sign is oval and is open in the center. The horse is standing in the center of the oval and has head held high and proud. The sign is dark brown and has a matte finish. This sign can be mounted outside and will withstand the elements.